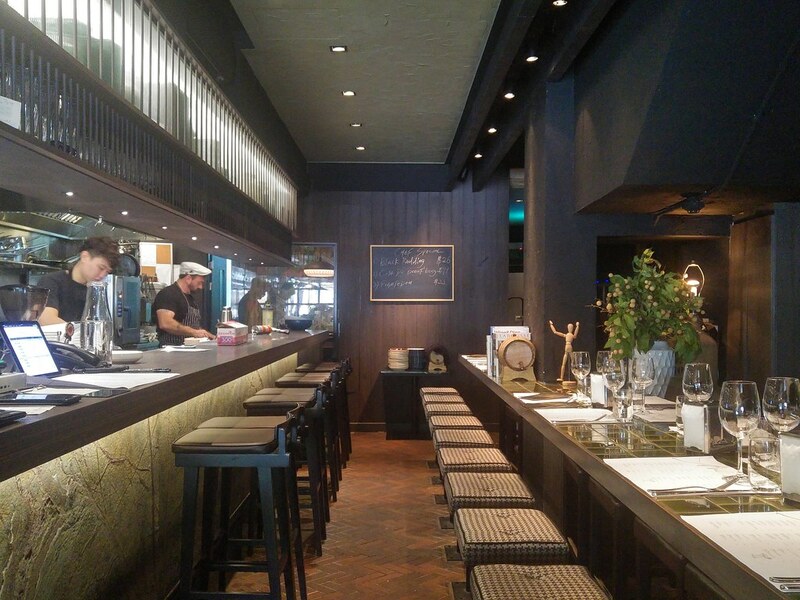 Known for its nose to tail dining concept, Dehesa at North Bridge Road has launched a new lunch menu. 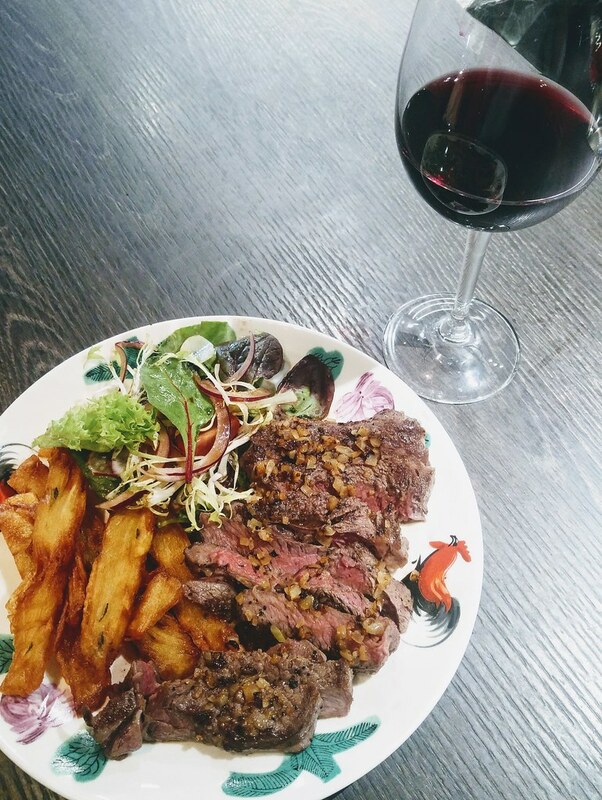 But not too worry, the dishes are nothing too exotic for your weekday palate. 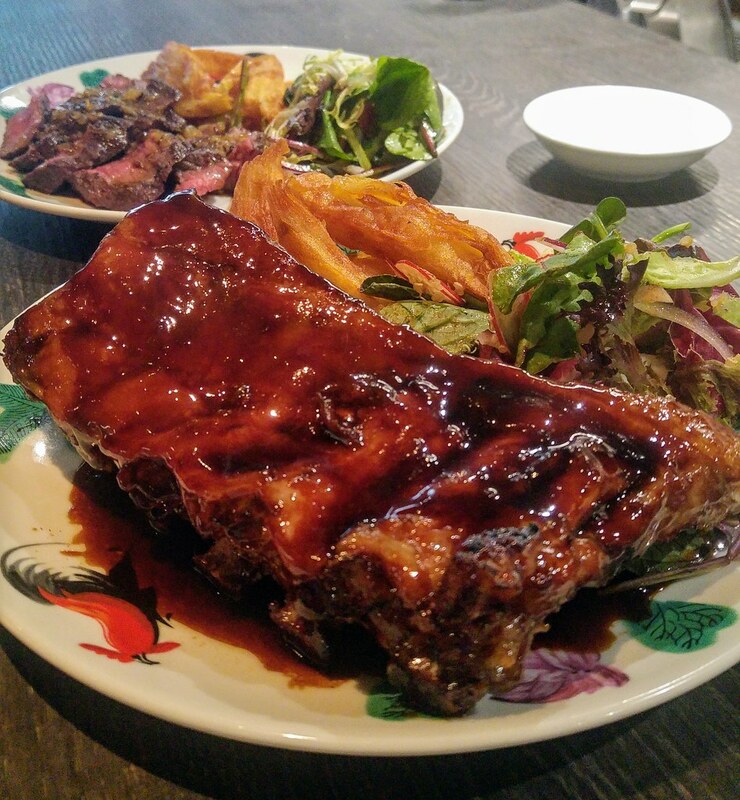 Known as Power Lunch Sets, the menu consists of simply steak, ribs and halloumi cheese as a vegetarian option. But why 'Power Lunch', you will know at the sight of the dishes. 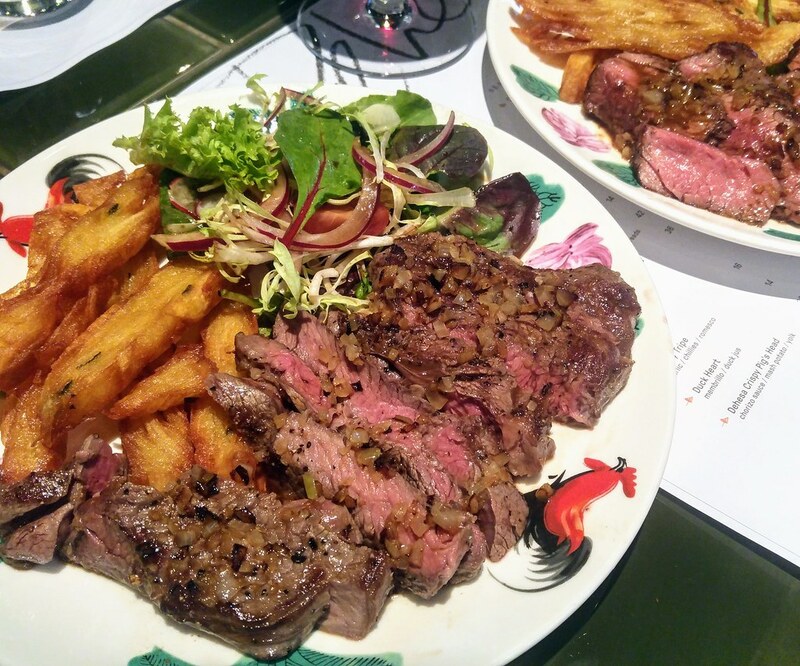 Both Ribeye Steak ($25 for 180g) and Hanger Steak ($23 for 150g) come with crispy potatoes and salad. The crispy potatoes are not your regular wedges, but Dehesa Patatas also known as Patatas Bravas. Sliced, layered and baked, after which the slab of layered potatoes will be cut into strips and deep fried. Hence you get this extremely crispy exterior with fluffy core. 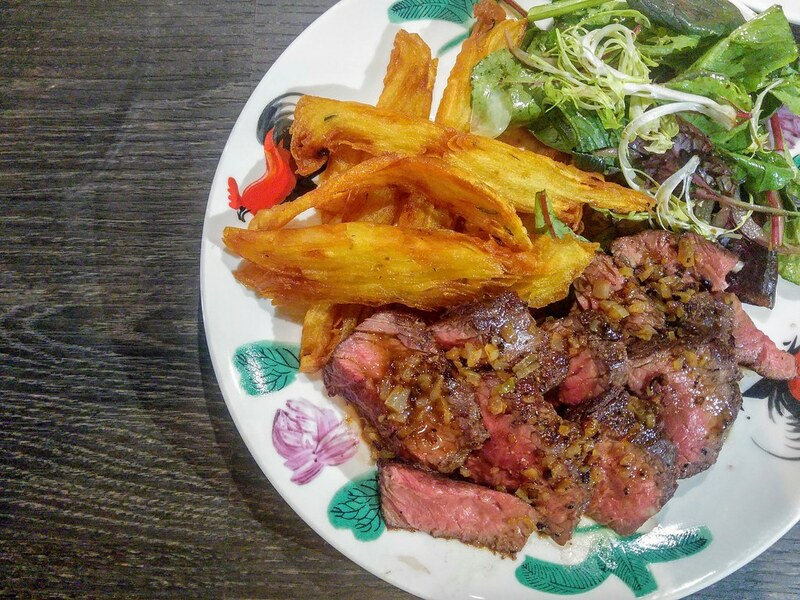 Ribeye Steak is always a safe option when comes to steak, but if you are into a gamier taste, try the Hanger Steak. 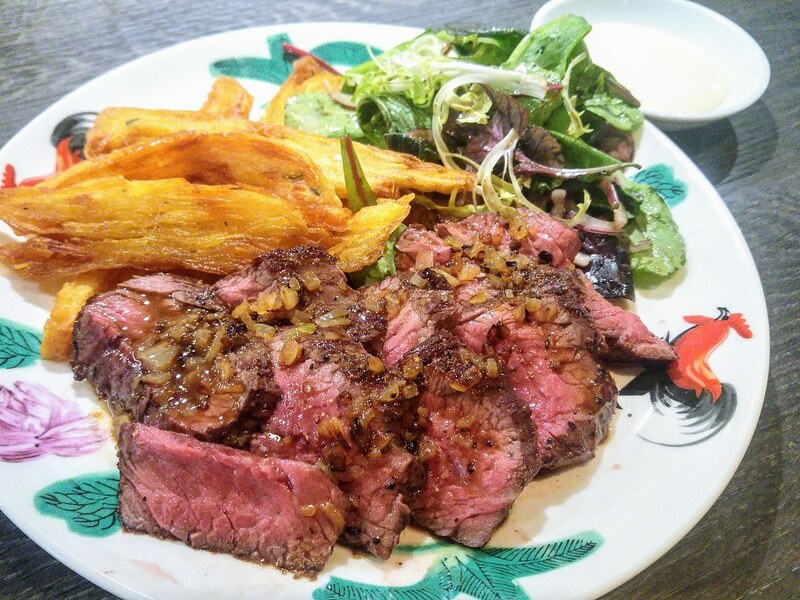 I like how the sweet-tanginess of the homemade garlic aioli served at the side balances the richness of the meats. 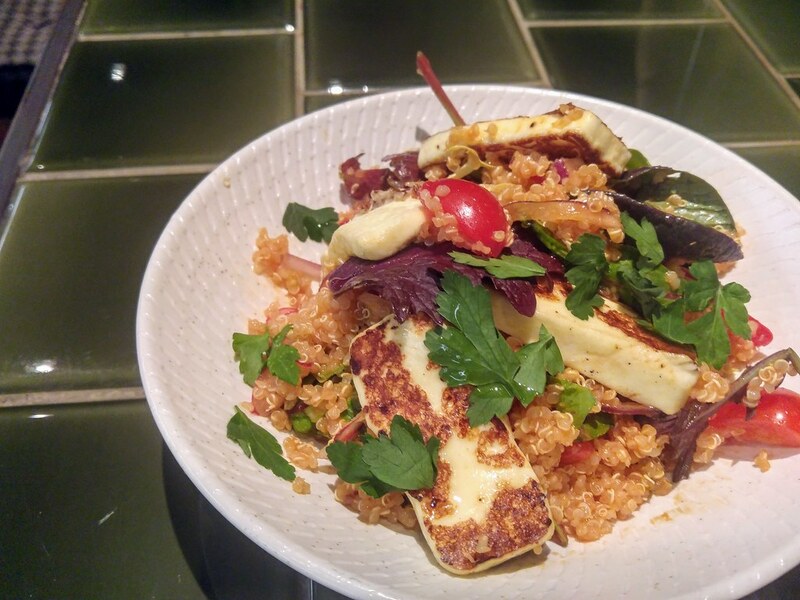 As much as it may seem a little out of place, the Halloumi Cheese ($22) with quinoa is an apt vegetarian option. Nestled above a heap quinoa, leafy greens and red onions, the grilled cheese holds a firm savoury bite, while the grains is no less satisfying than the crispy potatoes when it has soaked up the tasty brava sauce and carries hint of smokiness from paprika. Sous-vide for 12 hours before braised and seared, the Pack of Ribs ($25) came with a shiny molasses glaze. The meat simply falls off the bone as you attempt to lift one with your finger. I really love the molasses sauce for its rich and dark caramel taste. I would have loved it even more if not for the porky taste. If you are in for a afternoon tipple, simple cocktails and house pours are available too.